Ireland’s summer festival scene has gone from being a predictable two-party system just a few years ago, to an eclectic barrel of options and experiences. With line-up announcements coming thick and fast, it’s hard not to get excited by the wealth of options available this summer. From the zenith of Oxegen’s success we have come a long way as festival life is no longer about seeing the year’s biggest chart stars and drinking your weight in warm beer. The possibility of escapism into a communal, childlike land of fantasy has become ever more attainable. The selling point is still the line-up, that’s undoubtable. Longitude has positioned itself as one of Ireland’s biggest festivals, mostly down to its ability to attract big name acts. Based in Marley Park, Rathfarnham, there’s no camping available and drink can’t be taken into the site. You’d think this would write off its chances, but bands like Alt-J and The Chemical Brothers have lent legitimacy to the festival. While Longitude represents Parklife, the majority of up and coming Irish Festivals have preferred to find a musical niche rather than try to spread themselves across the whole spectrum of modern music. Life Festival in Westmeath lays claim to dance music, with big-name electronic musicians like Pantha du Prince, Alle Farben and others propping up surprise headliner (and possibly the biggest coup for any festival so far this year) Nas, performing his classic debut Illmatic in full. If you’re looking for a holiday, why not venture into a society based on art and the imagination? Forbidden Fruit illustrates this point perfectly when it markets itself as a Modern Day Garden of Eden, set slap-bang in the middle of Dublin City. Electric Picnic takes this a little bit further, as areas like Trenchtown, Trailer Park and the Salty Dog are like culturally drenched enclaves with little or no similarities, creating the feeling of a carnival of illusions. The communal lifestyle of the festival atmosphere has become a mainstay. Synonymous with events like Woodstock and Burning Man, the vision of an inclusive and selfless society is available for those willing to work towards it. 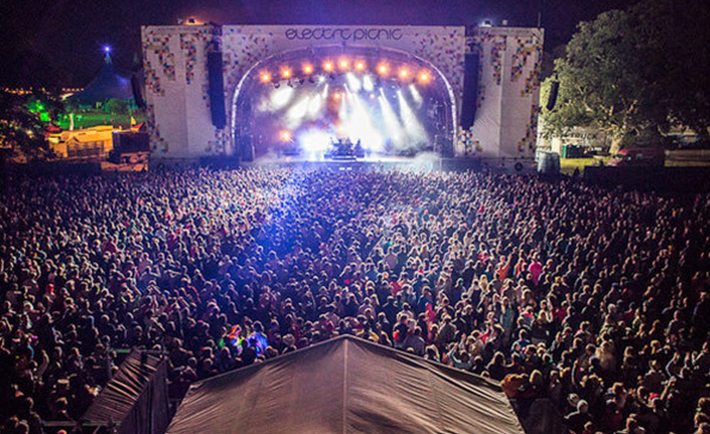 Electric Picnic offers you the possibility of buying your ticket for just €50, if you’re willing to raise €330 or more for charity and cycle 80km or run 15km to the campsite. It has never been more obvious that festivals are returning to their 60’s love-culture roots and, in doing so, the best parts of the arts are floating to the top, invigorating the creativity of excited young people.